I delayed the announcement a day but just wanted to let you know that the winner of the fun mug cozy is none other than Leigh Powell Hines from Hines-Sight Blog. 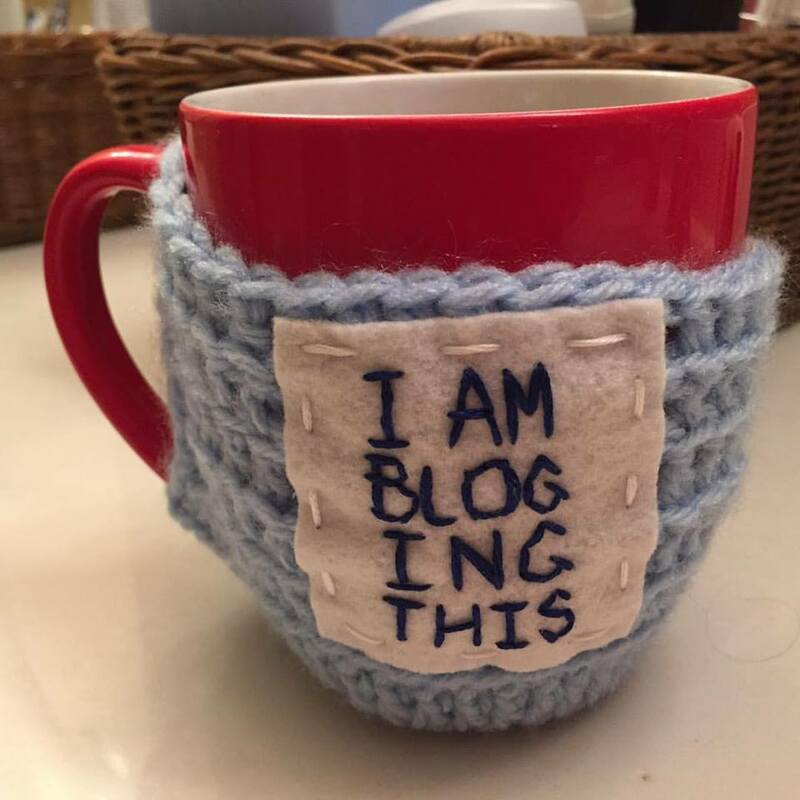 Leigh is one of my new North Carolina blogger friends so I am thrilled that she won this mug cozy. Congratulations, Leigh! If you didn’t win this giveaway please go check out Diane’s shop Knotworks on Etsy for more fun things like this cozy. Thanks to everyone who took the time to comment. Every comment this month goes to help fund our Comments for a Cause for the month – Alzheimer’s Foundation of America. Very cool! Perfectly fitting for a blogger. Thank you so much. I did a periscope yesterday and am about to put it on my blog today showcasing the cozy. Awesome! So glad you won!! !